Background The concept of home rule was first adopted in Article VII, Section 6 of the Illinois Constitution of 1970 to give units of local government greater power to pursue, implement, and administer its own policy initiatives, rather than the intervention of the state’s interests and power. Specifically, it allows municipalities of populations greater than … Continue reading What is Home Rule? Paid for by the Brookfield Democratic Organization and not authorized by any candidate or candidate’s committee. 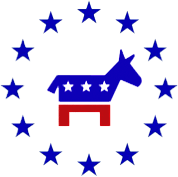 Contact us at brookfield.il.dems@gmail.com and subscribe to our monthly newsletter.